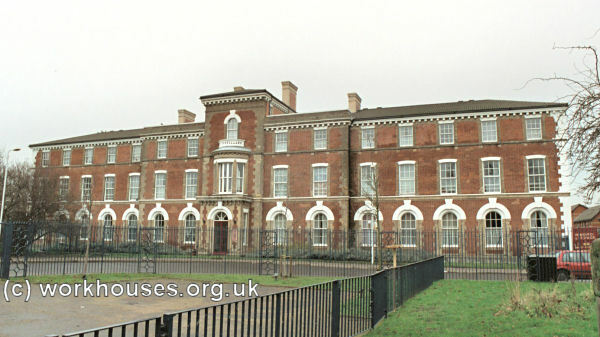 The Forest Gate District School, East London - a residential school for workhouse children. The Forest Gate School District was formed in 1868 and was one of the eight Metropolitan School Districts created between 1848 and 1877. Its member unions were Hackney (until 1877 only), Poplar and Whitechapel. Forest Gate District School Site, 1896. A lodge stood at the southern entrance to the site. Forest Gate school site entrance from the south, 2002. Forest Gate school main building from the south-east, 2002. An infirmary was erected at the west of the main school building. Forest Gate school infirmary from the south-east, 2002. On New Year's Day 1890, a disastrous fire broke out in one of the wings and two boys' dormitories were destroyed. Twenty-six boys died from suffocation. The Forest Gate School District was dissolved in 1897. The school building was sold to the Poplar Union which used it as a training school until 1906. 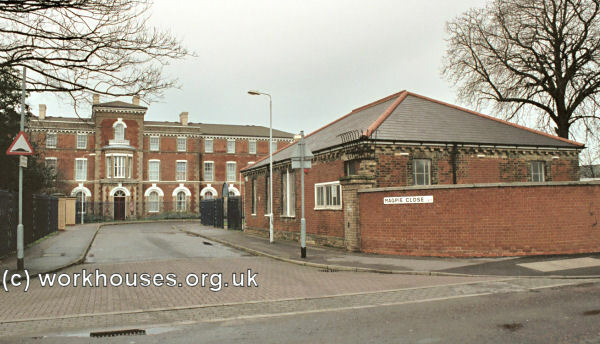 From 1908, it was used as a branch workhouse for able-bodied paupers. 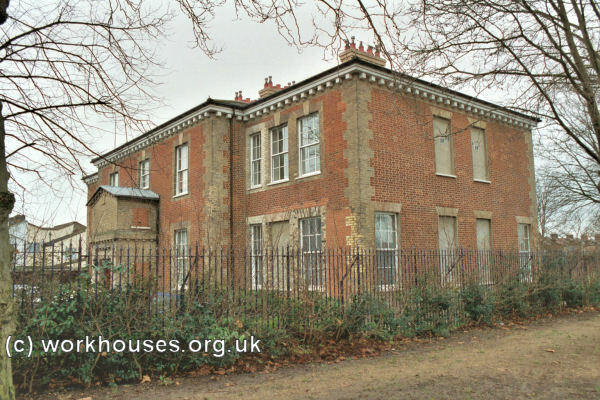 In 1911, the West Ham Union acquired the premises for £41,000 for use as an overflow workhouse. It also provided accommodation for imbeciles, epileptics and maternity cases. By 1913, it had become known as Forest Lane Sick Home. After 1929, the Home came under the control of West Ham County Borough and became Forest Gate Hospital. Its 500 beds accommodated the chronic sick, mentally ill, and maternity cases. The Hospital finally closed in the mid-1980s. The surviving main block and infirmary have now been converted to residential use. In 1870, Forest Gate acquired the training ship Goliath. The ship was destroyed by fire in 1875. In 1877, it was replaced by the training ship Exmouth operated by the Metropolitan Asylums Board. Minutes of the Management Board; Annual reports; Superintendent's reports and journal; Copies of out-letters; Admission and discharge registers; Creed registers; List of officers.